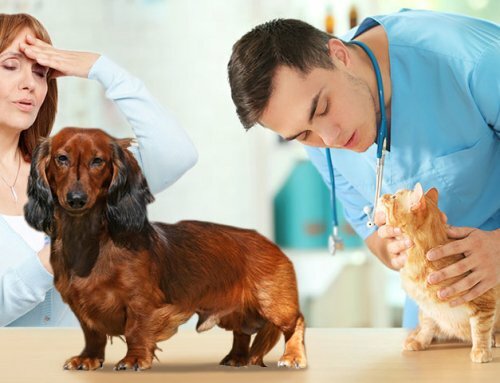 Which Heartworm & Flea Preventatives Are Best For My Pet? I am a huge fan of Heartgard Plus. It has been out many years and is very tasty and effective. Word on the dog street is that it is truly delicious. It so much easier giving a pet medication when the pet gobbles it up as if it were a treat. Not all heartworm preventatives are so tasty. For herding breeds, we usually avoid Heartgard Plus. We usually choose for herding breeds Trifexis or Sentinel as Ivermectin, the active ingredient in Heartgard Plus, can adversely affect herding breeds. This herding breed receptor defect is rare and at the dose in Heartgard Plus it would be unlikely to cause issues, but nonetheless, we do still guide the herding breeds toward Milbemycin which is the active ingredient of Trifexis or Sentinel Spectrum. Better safe than sorry. Heartgard Plus treats for roundworms and all 3 types of hookworms. It also is a heartworm preventative. Heartgard Plus is given monthly. It does nothing for fleas nor ticks. When I have a pet who has had hookworms in the past, Heartgard Plus is my “go to” monthly heart worm preventative. I usually pair Heartgard Plus with Bravecto or Nexgard for flea control. Sentinel has been on the market for many years. It has the same active ingredient as Trifexis(the next one on this list). It is very safe for all breeds. I like Sentinel Spectrum because it is a tasty chew whereas the original Sentinel is a hard little pill which is not at all tasty. 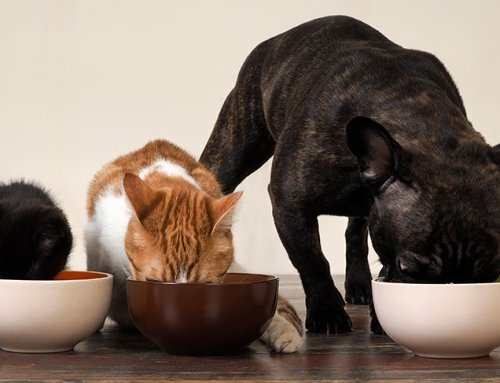 Trifexis is not tasty and many of my clients have trouble getting the Trifexis into their pets because their dogs don’t care for the flavor. What is the difference between Sentinel Spectrum and Trifexis? Sentinel Spectrum contains Program which is “birth control” for fleas. Trifexis contains Comfortis which is a flea adulticide. Clearly Trifexis is more effective for flea control than Sentinel Spectrum. Unfortunately, Comfortis can occasionally cause vomiting in dogs, particularly if given on an empty stomach. Compare this to how you feel icky if taking a multi-vitamin on an empty stomach, pets who take Trifexis on an empty stomach may vomit. Sentinel Spectrum treats 2 of the 3 types of hookworms, whipworms, roundworms and 2 types of tapeworms and is a heartworm preventative. When we choose Sentinel Spectrum, we probably will add in a flea adulticide product as well in South Florida. If the pet lives on the 6th floor of a condo and potties on a pee pad, then Sentinel Spectrum is a dandy choice by itself, without a flea adulticide. If you live up north you probably won’t need to pair Sentinel Spectrum with a flea adulticide in the wintertime. If the pet is a rootin’ tootin’ outdoorsman, we will recommend a flea adulticide product in addition to the Sentinel Spectrum. I usually pair Sentinel Spectrum with Bravecto or Nexgard. Sentinel Spectrum does NOT treat for ticks. And as I mentioned above, it only acts as birth control for fleas. It does not kill adult fleas. Nonetheless, it will likely prevent a random flea who jumps onto your pet outside from turning your house into a flea infested home. I like Trifexis. It is the combination of Milbemycin which is in Sentinel, Sentinel Spectrum and Interceptor plus Comfortis which is a flea adulticide. It has been on the market for about a decade. It’s a great product and is very effective for heartworm prevention and fleas and internal parasites, all in one pill. Unfortunately, Trifexis has a few issues. The biggest complaint I hear is that it doesn’t taste good! Clients tell me how they have to cut it into bits and hide it in food or just send it down the hatch manually. It’s a hard little pill. Additionally, some pets will vomit when they take Trifexis, especially if they take it on an empty stomach. If a pet has a history of seizures or any neurological issues, we do not recommend Trifexis. The evidence is fuzzy, but we err on the side of caution. Any neurologic patient should steer clear of Trifexis. Nonetheless, many pets do very well on it! How great to have one med that treats for fleas and 2 of the 3 kinds of hookworms and whipworms and roundworms and is a heartworm preventative! Make sure that you remember that Trifexis does not treat for ticks. Revolution has been on the market for many years. It is a topical flea and heartworm preventative. It is a great product for treating fleas and for heart worm prevention. Unfortunately, it is not particularly great for internal parasites for dogs but it is better at GI parasites in cats. 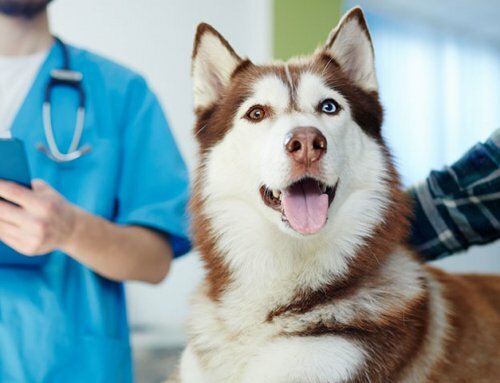 The company recommends that pets who take Revolutions also take Pyrantel, one of the ingredients in Heartgard Plus, if internal parasites are a concern. The manufacturer of Revolution will often provide clinics with Pyrantel to send with clients when they receive Revolution. I (unfortunately) live in hookworm country. For this reason, I’m not the biggest fan of Revolution. Additionally, I’m more trusting of oral heart worm preventatives than topical heart worm preventatives. Revolution is great, but if I have to pair Pyrantel with a topical for hookworms, why don’t I just send an oral heart worm preventative. Besides, I don’t like to pet a critter and get goo on my hand. One of my favorite times to use Revolution is for the very small breed dogs. Many of these dogs don’t like to take the oral options for heart worm prevention. Revolution can be used in dogs less than 5 pounds. If we have a pet with food allergy, Revolution can be used as it is a topical. Many of the oral heart worm preventatives have beef or pork flavorings. Another time when I reach for Revolution is for very itchy dogs. We see tons of allergy dogs here in South Florida. Sometimes we wonder if there is underlying sarcoptic mange (aka scabies). Scabies is really hard to identify. 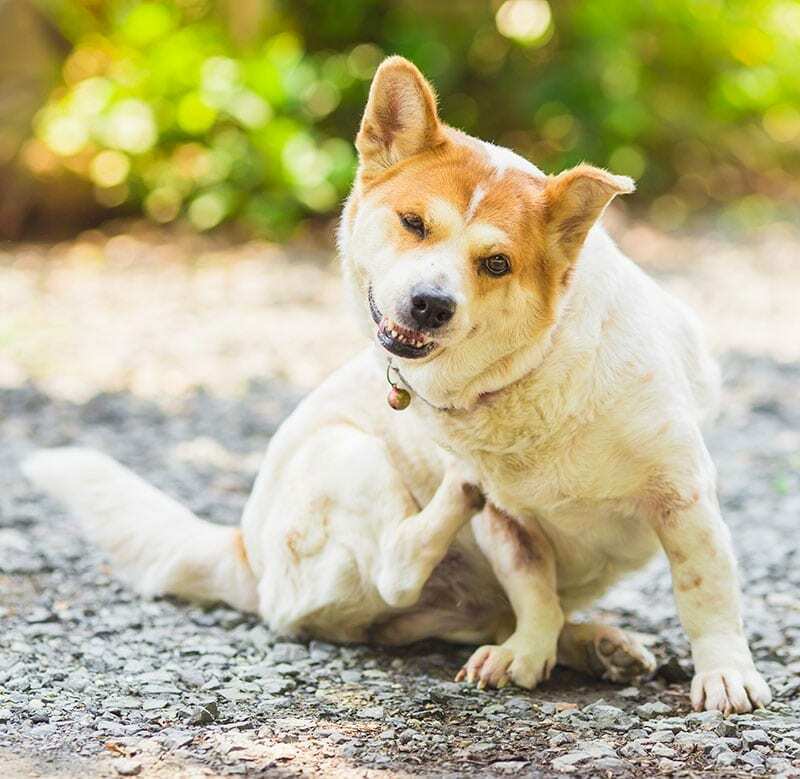 These mites are stinkers to find on skin scrapings and sometimes we will treat with Revolution, every 2 weeks instead of every month, for a total of 3 treatments. When we have a very itchy pet, particularly if they don’t respond well to our allergy treatments, we may try this 3-dose trial of Revolution. I probably use Revolution for this reason more than any other situation. Again, I see a lot of dermatitis here in hot, humid South Florida where allergic dermatitis is rampant. I love Nexgard and Bravecto. I don’t have as much experience with Simparica as I do with Nexgard and Bravecto. Nexgard was the first of the oral flea and tick preventatives that came on the market. Then later that year a sister drug came onto the market called Bravecto. And more recently another sister drug called Simparica came out by yet a different company. I’m happy to report that they all have good palatability. Nexgard, Bravecto, and Simparica all kill ticks and fleas. Nexgard and Simparica both last for one month for fleas and ticks. Bravecto lasts for 3 months for fleas and 2-3 months for ticks. It’s easier to give a Nexgard or Simparica along with your heartworm preventative than try to remember to give Bravecto every 3 months. If you have memory issues, use the Nexgard or Simparica. Both Nexgard, Bravecto, and Simparica are very effective against Demodex mites. Demodex (aka mange) is very common in the environment. Puppies are particularly prone to Demodex until their immune system fully develops. Bravecto and Simparica are approved for pets 6 months and older. If your pet is under 6 months of age you should use Nexgard. Using these products for puppies with Demodex makes me smile. For nearly 25 years I used daily Ivermectin for Demodex puppies, for weeks or months. It was a pain in the behind. Activyl is a great drug. It is a topical that is approved for puppies 8 weeks of age and older. Activyl is a flea adulticide that has flea repellent qualities that are fantastic. It also kills the immature stages of fleas. If a pet is exquisitely sensitive to flea saliva, I may add Activyl into the treatment protocol. Activyl came out 6 years ago and there is no known flea resistance to it. It is a topical medication. Advantage came out in the early 1990s. It has been a wonderful thing. 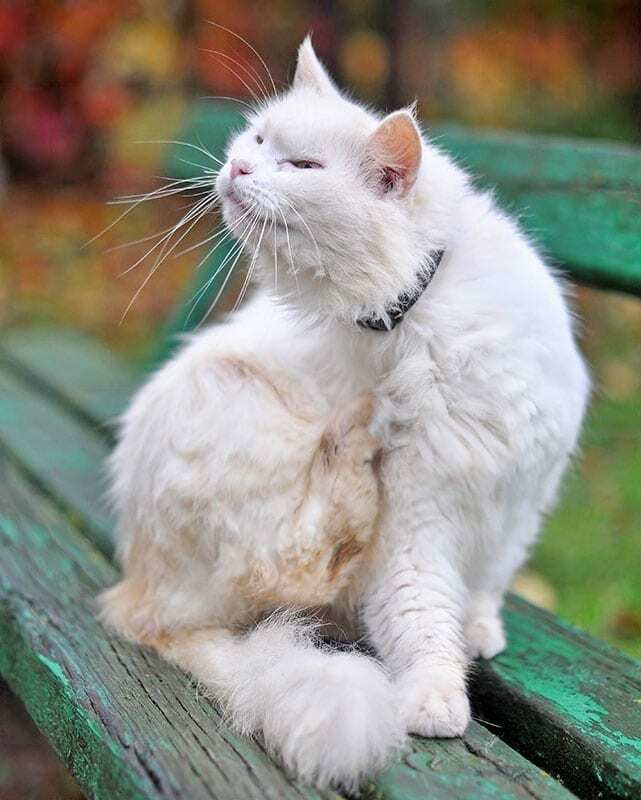 There is minimal drug resistance and it remains a fantastic option for flea control. Again, I’m not a fan of topicals on dogs now that we have so many oral options. Advantage can be purchased over the counter at pet stores. There is a fancier option for Advantage called Advantage Multi that has Moxidectin for added heartworm protection and this is a prescription drug. Again, I prefer oral heartworm and flea preventatives for dogs. And, if I do have a dog with a food allergy and many of the orals have beef or pork, I tend to reach for Revolution as my topical medication of choice due to the aforementioned effectiveness for scabies. Nonetheless, Advantage Multi is a great product. Unfortunately, Frontline has drug resistance such that the sturdy fleas we have in South Florida laugh at Frontline these days. Frontline is likely just fine for folks up north. The fleas in the northern USA are whimps compared to our sturdy South Florida flea population. One University of Florida dermatologist calls the fleas we have down here in South Florida “terrorist fleas”. This makes me laugh, and it is so true. There are numerous generics of Frontline available over the counter. I’ve never been a fan of flea collars, but the Serresto collar, for both dogs and cats, is the best I’ve seen. It lasts for 8 months and has flea and tick repellent qualities. It needs to be worn snug to the skin (you should be able to slide 2 fingers between the collar and the pet) and once applied should not be removed. In general I prefer Bravecto or Nexgard or Simparica over the Serresto Collar, but for folks where there is a much worse tick issue than where I live this is a good choice. I hear these collars sell like hotcakes up north. As I stated above, I do have a negative bias for topical medication simply because I don’t like petting an animal and having the topical goo on my hand. Nonetheless, I tend to use topical medications for cats because most people have trouble getting oral medications into their cats. Revolution and Advantage Multi have both been on the market for many years. They are both topical flea and heartworm preventatives. They are both great products for treating fleas and for heartworm prevention. They also do a good job killing hookworms and roundworms in cats. I want my feline patients who go outside here in South Florida to be on a monthly heartworm preventative as there is no treatment for heartworm in cats. Cats can get heart worm disease. One of my vet nurses recently pointed out to me that Feline Revolution leaves the cats’ fur sticky for less time than Feline Advantage Multi. They are different products with similar efficacy and safety. I like them both. Bravecto for Cats is a new product. It is a topical and lasts for 3 months for cats. For cats who are difficult to catch (especially feral cats), this flea product is fantastic! Or, if other products have failed you in the past, there is no known flea resistance to this product. One of my vet nurses used to have to apply Advantage every 3 weeks to her outdoor cat, but has recently had great success with Bravecto. Unfortunately, Bravecto does nothing for heartworm prevention. I live in heartworm country. 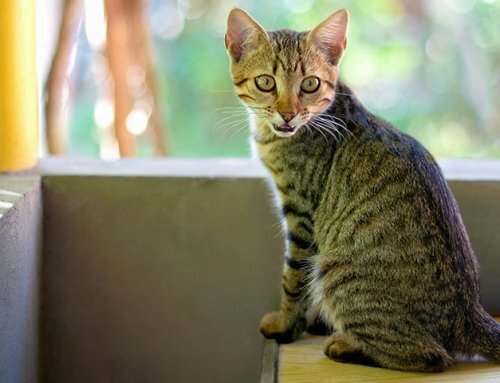 If a cat goes outside and is battling tough fleas, we may use Bravecto, but we will need to add in a heartworm preventative as well here in South Florida. Heartgard for cats is a good pairing with Bravecto. Similarly, I have used Activyl for cats and Cheriston for cats in the past. These products both work great for felines. They are topical monthly flea products. Since Bravecto for Cats came on the market, I rarely use Activyl or Cheriston. Again, I want my South Florida feline patients to be on heartworm prevention, so I usually reach for Revolution or Advantage Multi for my South Florida patients. I’ve never been a fan of flea collars, but the Serresto collar (for both dogs and cats) is the best I’ve seen. It lasts for 8 months and has flea and tick repellent qualities. It needs to be snug to the skin so you can slide 2 fingers between the collar and the pet, and once applied should not be removed. It doesn’t have a “break away” piece should a cat get caught by the collar. I’ve seen cats come in with a Serresto collar and yet still have fleas. This is likely because most folks don’t wish to keep the collar on snugly. I hope this helps you choose the best product for your pet. Have a chat with your local veterinarian if you need guidance. Your vet will know the local risks where you live. Good afternoon Dr. Sutton. What is your opinion of PROHEART 6 and K9 Advantix II? My girls (Black Lab, Bernese Mtn Dog Mix) have been on these products for quite some time but, are there better options I could be using? Thank you in advance for your time and your informative articles. Proheart 6 is a good product. The pet must go into the veterinary clinic for the injection twice yearly. 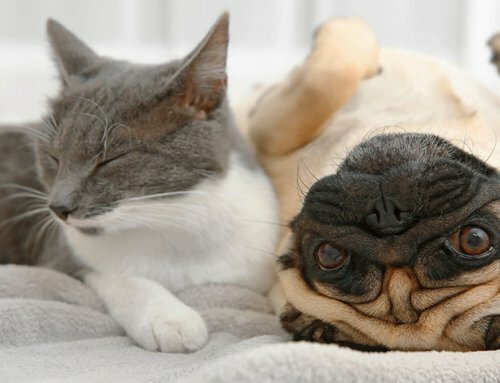 Most pets would rather get a monthly oral treat than get poked with a needle every 6 months. And yet, it is an effective product for heart worm prevention. It also treats for hookworms. Advantage 2 works well, but again, I’m not a huge fan of topical flea products now that we have oral options. Again, there are lots of good choices! I use Advantix also and you didn’t mention that product. I live in an area that is infested with ticks, especially deer tics! I tried using Frontline and my dogs kept getting Lymes! I have been using Advantix for years now and they are clean, never have they had lymes again. Your thoughts? Advantix is great. I just have a personal bias against topicals. Sorry I didn’t mention advantix. It is a great product if ticks are a concern. Hi my bichon was just diagnosed with diabetes and only the 2nd day of insulin. He also takes vetmedin, and now insulin. His teeth are an issue, and need cleaning. He takes bravecto for flea and tick treatment, as well as heartgard. My question is…are any of these harmful when used together? Also, researching dental and joint treats. What are some of your recommendations? Are greenies ok? I don’t see a contraindication for any of these meds to be given to the same patient. As far as treats, consistency will help you! Treats (such as greenies) are best given at meal time when the insulin is given. Treats given mid meal will cause an unwanted glucose elevation. I also like CET chews and Oravet chews for dogs. And, when given, reduce the calories of the food by the calories in the greenie. Do get the teeth cleaned as soon as the diabetes is stable. Good luck! My dog has food allergies and IBD, and the chewable heartguard plus upsets his stomach. I see there’s a tablet form of Heartguard that does not have the meat flavoring in it, but I believe it only prevents heartworms, not the other types of worms that the “plus” version addresses. Do you think it’s a good HW preventative? And if so, do I need to give my dog something else to address the other types of worms? Hi! THis is an excellent question. There is a nonflavored Heartgard, but most vets don’t carry it as it isn’t very tasty. It can be ordered online with a prescription from your vet. It might be easier using a heartworm preventative that has a “hydrolyzed” flavoring. I practice in South Florida where we have lots of allergy dogs. If I’m suspicious of a food allergy, I tend to reach for Iverhart Max or Sentinel Spectrum as they both have hydrolyzed flavoring. (Iverhart Max is equivalent to Heartgard Plus.) Down here in Florida it does matter having a dog on a heartworm preventative that also treats gi worms. 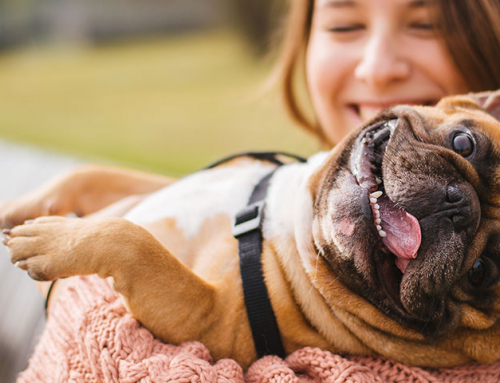 Whether it matters for your pet depends on where you live and your dog’s lifestyle. Make sense? Oops! I also forgot to mention topical products such as Revolution or Advantage Multi. Or, there is a 6 month injection for heartworm prevention called Proheart 6.